How do you stop repeating the old beliefs and actions that are holding you back? How do you ensure that the core part of your inner guidance is sending you in a positive direction? 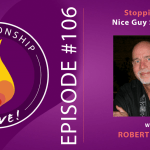 If you find yourself doing the same old dance again and again – either with your current partner, or in relationship after relationship, then this is the episode for you. 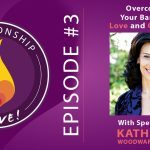 Joining us is Katherine Woodward Thomas, author of the NYT Bestseller Conscious Uncoupling, as well as the bestseller Calling in the One, as a guide through a powerful process of self-discovery. 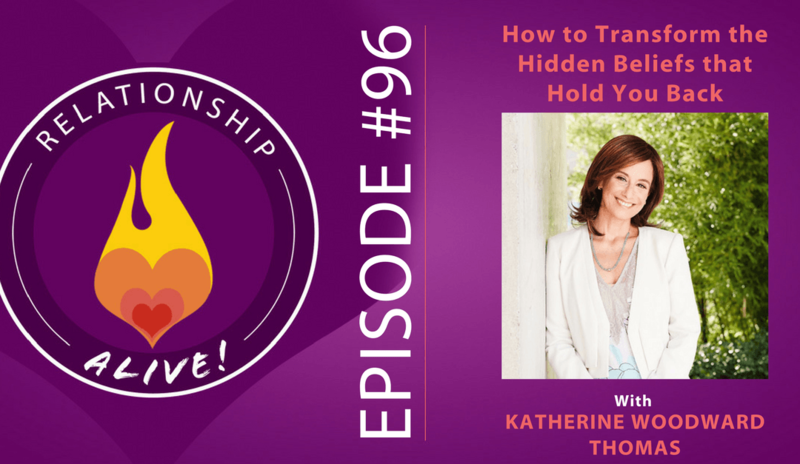 We dive deep into a core part of her work, the “secret sauce” that has helped Katherine transform the lives of so many people worldwide. Repeating the story: So often we get into relationships that allow us to recreate old and often painful patterns developed in our childhoods. 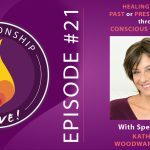 While this duplication process may partly be in search of healing, it is more due to the fact that we lack the skills to do relationship any differently. Luckily this can shift. We can learn the skills and repair the developmental needs in order to navigate our relationships to the highest potential they hold for our happiness and wellbeing. Getting to the center of it all: We generate our lives from what lives at our center. What core belief about love are you carrying at your center? It is from this belief, often formed in childhood, that we generate our entire experience in the world and in relationship. If your core belief is broken (No one will ever love me, I am unworthy of love, I don’t deserve love), no amount of skills will help remedy. Instead an entirely new center must be found – one that is truer and has more room for positive possibility and growth. It is this excavating of old beliefs that allows us to move from post traumatic stress towards post traumatic growth. Beliefs are relational: Our core beliefs were created in relation to another, and are, thus, also able to be healed through relationship. Remember however, that no one can show up for us in a way that we are not showing up for ourselves. We must teach those around us how to love us by the ways in which we love ourselves. Source fracture wounds: Source fracture wounds are the result of our original experiences of being hurt in love. These experiences, often long forgotten by explicit memory, become so entwined with our entire identity that it may take some time and support to be able to unblend enough to identify them. The body holds beliefs: Our implicit beliefs are held more in our bodies than in our brains. Try closing your eyes for a moment and connecting with your painful pattern in love. How does this experience show up in your body? Is it a heaviness in your heart? A tightness in the stomach? An ache in the solar plexus? Stay connected with it and welcome in the feelings while letting this part of your body tell the story “I am…or I am no…or other people…” Listen. Then ask yourself – how old is this part of me? Allow this dialogue to continue between yourself and this young self. Once you feel like you have really listened in, you can begin to update this young belief with a more mature and validating voice: for example, share with it that you are, in fact, deeply loved by all of life and there is evidence around for how all of life loves you. Once we have discovered the old stories we created long ago, we have the opportunity to mentor and usher in a new perspective. Stay in relationship between yourself and your tender parts: The places in our bodies that hold these beliefs often cause us both emotional and physical pain. This tends to make us want to ignore and shun these areas of our bodies, however it is actually these areas that need the most TLC. Continue to build a relationship between yourself and these tender areas. Place a hand on these parts of yourself and let them know you are there. These parts of ourselves are often lonely, stuck, and waiting for us to liberate them from the story they are trapped in. Talk to yourself! You will likely have a sense of immediate relief. Let your parts know “I am enough, I am a treasure”. This dialogue and honoring allows you to course correct the consciousness of long stagnant and painful thought/feeling networks. Start within. Are you ready and desiring of a new love experience? It may be time to wake up from old trance. 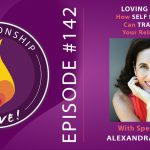 In order to step into a more authentic, fulfilling, and growth oriented relationship you must 1) be willing to go deeper, 2) stop being a victim, and 3) begin to reflect on yourself as the source of your own experience with your partner. See yourself as the source: In what ways are you creating situations that provide more evidence for your source fracture story? We so often covertly pull on others to validate our old stories. This is subtle, subconscious, and because we can’t see how we are manipulating our experiences we are left feeling like others are doing it to us. The truth is that most of the things that we do that lead to toxicity and disappointment are old strategies we developed in childhood to protect ourselves. Predictability, even if negative, is safer than the unknown and so we create situations that give us more evidence for our aloneness/lack of safety/unworthiness or whatever else we believed in order to make sense of the world. Can you reflect with humility and curiosity on the ways that you yourself may be the source of breakdowns in your relationship? Sit in your truth: Given that we create our lives from our center, we must tend this center with care and clarity. 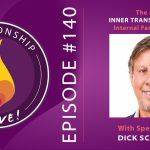 Depending on our core belief we are either going to navigate our way into the higher potentials of a relationship or we are going to spiral the potentials downwards into the old story. When we function from our source fracture story we end up choosing people who will predictably play out our old patterns, however when we are able to live from a deeper truth we lose interest in old dramas and become increasingly more attracted to healthy people. Ask empowering questions. Ask the questions that will lead to truth and growth. How am I giving away my power to my partner? How am I treating myself in ways that have trained my partner to treat me this way? By taking responsibility you can enter into a completely new (and likely more honest and productive) conversation with your partner. Enlist your partner: Become evolutionary partners by helping each other grow and wake up to a deeper truth. Ask your partner to give you feedback and insight into ways you might be impacting the dynamic without realizing it. Through honest and humble conversations such as these we begin to turn our relationships into places of safety (rather than needing to tap dance around each other’s wounds). Getting from limbic to cortex: It is inevitable that you and your partner will trigger each other and cause each other to “go limbic”. Once you have gone limbic – all bets are off! Be sure to give yourself timeouts so that your nervous system and brain can come back online. By giving yourself the time necessary to shift back to a regulated state you will be better prepared to engage from your wise adult self. One way to help shift this is through affect labelling. Try taking a deep breath and ask yourself ‘what am I feeling right now?’. Notice and then name the specific emotions. Through mirroring back to yourself your own internal experience you begin to de-escalate the intensity and bring yourself back to center. From here you are better able to choose curiosity and compassion in the face of challenge and imperfections. Both affect labelling and choosing compassion are key skills and relationship muscles needed for growth and repair. Graduate from old patterns: Are you ready for a paradigm shift that will leave you more ready, more open, and more capable of big love? Change starts from setting an intention to have happiness and love. The biggest obstacle to this that many of us face is being blended with the identity of someone who is unworthy of it. Through lovingly and patiently working with the parts of yourself that hold wounded beliefs you are able more accurately fill needs that were unmet when you were younger. As we look more at our own development we are able to recreate the experiences we missed and unravel the old story by replacing it with invalidating experiences that are at once empowering and so needed. This requires vulnerability. 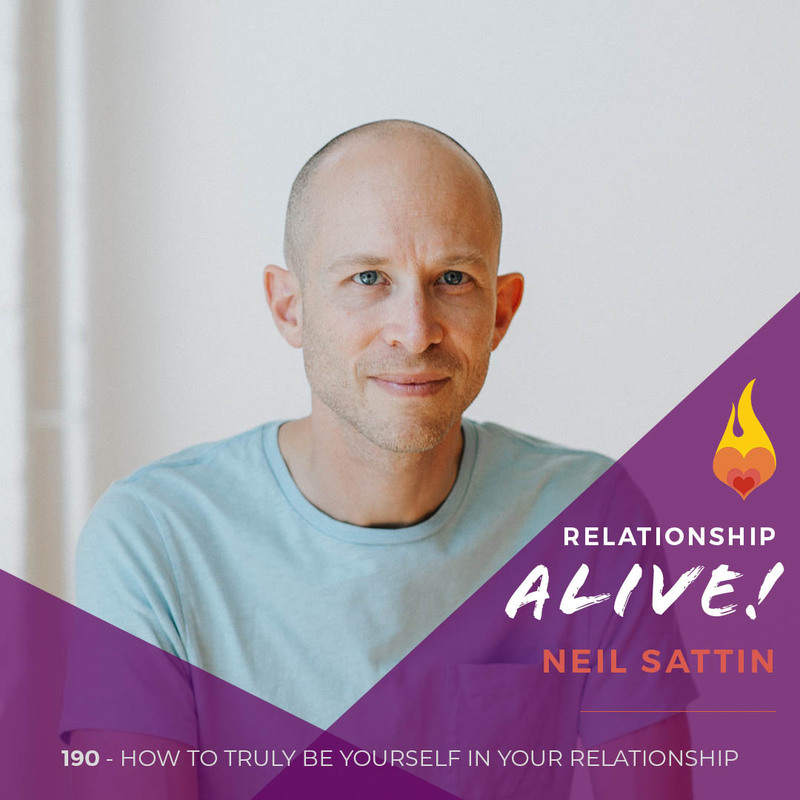 As you learn your own true needs and begin to practice communicating this to safe people in your life, you will in turn be welcoming in the evidence of what’s true about you. These are all learnable skills! Practice identifying what was missing, asking for what you need, and allowing yourself to receive. Remember, vulnerability is often the doorway into a place of growth, restoration, and true healing. 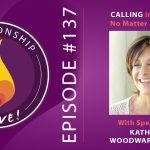 Interested in Katherine Woodward Thomas’ coaching training? Check it out here!